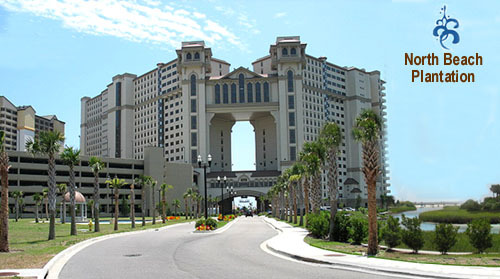 North Beach Plantation is absolutely the top of the line when it comes to oceanfront luxury resorts anywhere in the entire Grand Strand. The North Beach Tower condos were built in 2009, and now the town homes and luxury houses are being completed. Eventually intended to be gated, there's no question that you've stepped out of the normal "Redneck Riviera" when you drive into North Beach Plantation. The Towers themselves are simply amazing. After you've enjoyed the covered parking and walk into your condo, it's no less impressive. Each unit comes with vaulted 9 ft ceilings, designer furnishings and artistic tile accents, crown molding, granite countertops, jacuzzi tubs and more. 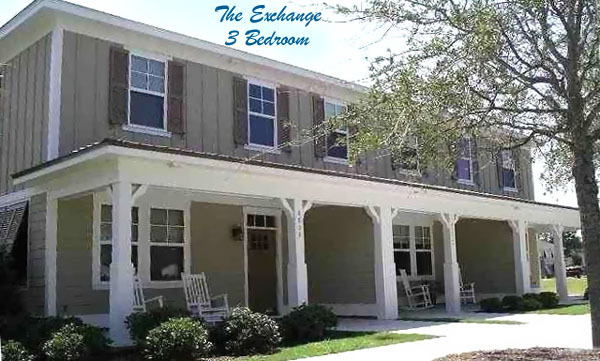 Located at the main entrance of the community are some residential condos and flats called The Exchange. First completed in 2013 were 2 and 3 bedroom town-house style condos. The 2 bedroom-2 bath units are 1950 sq ft units with single-car garages and guest bedroom on the ground level. Interiors have all the upgrades from granite counter tops to jacuzzi baths in the master bathroom. Priced at around $270,000, they offer convenience to the restaurant and Cinzia Spa. The 3 bedroom, 2.5 bath condo homes were completed in 2012-2013, and include a covered lanai, fenced courtyard, and 2 car garage. Living area is on the first floor with 2nd floor bedrooms. Priced at $325,000, they offer 1900 sq ft of living space and every upgrade, including hardwood floors, granite counter tops in kitchen and baths, enclosed showers and tubs, and more. Being built in 2015, are 1 bedroom 1 bath flats offer 1000 sq ft of luxury living including a covered rear deck. If you'd like to buy a new condominium and choose your look, this is the one to look for. With the location and amenities that the entire community shares, these units should be perfect for vacation rentals or use as a vacation home. They are to be priced at just under $200,000. 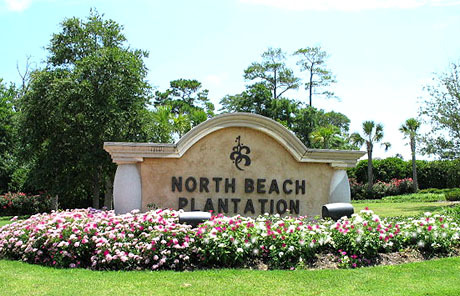 If you would like to tour the community or see any of the condos for sale in North Beach Plantation, give us a call. We'll be glad to take you around the neighborhood. See our pages for North Beach Plantation HOMES, and North Beach Plantation TOWN HOMES as well, and see ALL the available properties in North Beach by using the MLS Condo Search.